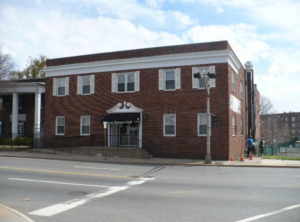 BRONX, NEW YORK , UNITED STATES, July 9, 2018 /EINPresswire.com/ -- Caridia Capital Group is proud to announce the closing of a refinance loan for a commercial property valued at 1.8 Million, located in East Orange, New Jersey. The Borrower needed a refinance loan in order to remove a Bridge lender from a loan that was maturing. The loan profile fit into our 30 Year Investor No Income Check Program FOR not for profit Organizations. The buildings is an all commercial not for profit. We were able to expedite and fund the loan within 30 days. The borrower was very satisfied and appreciative of the effort to close a 30 year loan so quickly. Caridia Capital has been in business since 2012. Caridia Capital is a direct lender and consulting firm that prides itself on unparalleled service and performance. We are committed to providing all types of real estate related loans, funding programs, unbiased advice and prudent strategies for your business. Our services are always tailored to your unique needs. We provide working capital, asset based lending, all types of Bridge Financing, Securities based non recourse loans, Medical Factoring, and Construction Lending. Our approach allows us to serve you without compromise. Our reward is satisfied clients!